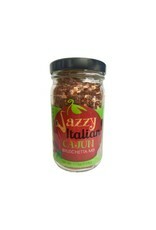 Jazzy Italian Bruschetta - Cajun - Miam! 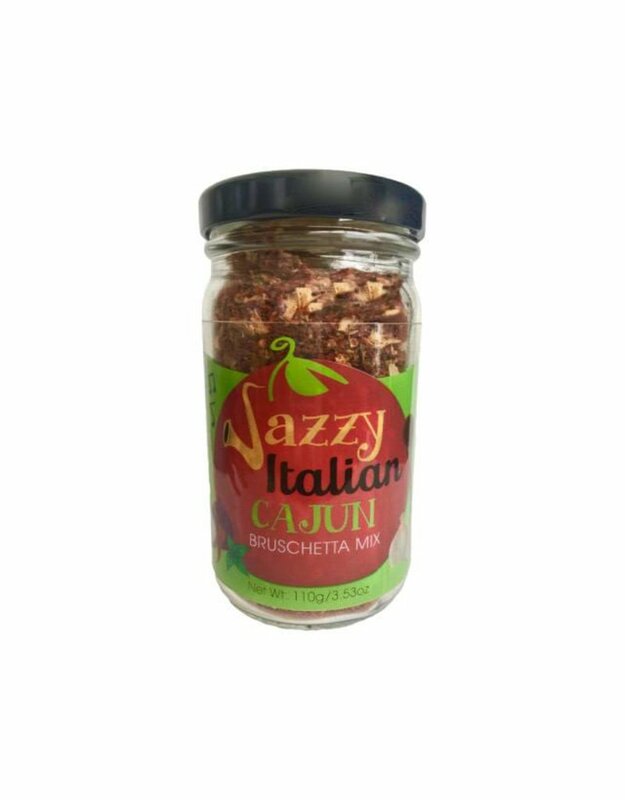 Cajun Bruschetta blends the flavors of Italy with a Cajun twist. This highly flavorful, versatile Italian herb blend of tomato flakes, garlic, and Cajun spices complements many dishes by kicking it up a notch . Pronounced “brusketta”, this classic Italian appetizer is a perfect way to capture the flavors of Italy. ​Enjoy as a dip with pita chips, crackers or bread rounds. Slice a baguette or loaf of French bread in half, lengthwise. Spread a layer of bruschetta on top, sprinkle with cheese and bake. ​Use dry bruschetta to season meats, eggs, or vegetables. Spoon over chicken or seafood with a sprinkle of cheese and bake. Add to meatballs or meatloaf for added flavor. Add to pasta, pizza sauce, or tomato soup as a "secret ingredient."